Sarah has a broad-based intellectual property practice that covers litigation and transactions involving IP rights as well as trade-mark prosecution. 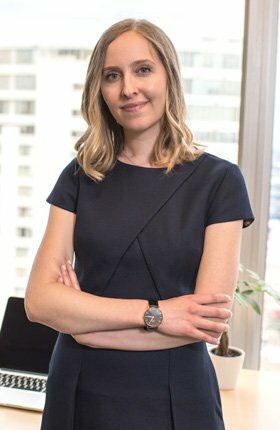 She has a range of IP litigation experience, including disputes related to patents, copyright, trade-marks and trade secrets. On the commercial side, Sarah advises clients in transactions involving intellectual property and technology. She drafts and negotiates agreements related to the development, licensing, transfer and commercialization of intellectual property. She is also involved in conducting trade-mark searches, advising on the registrability of trade-marks, filing and prosecuting trade-mark applications in Canada, and representing clients in trade-mark opposition and non-use proceedings.